Citi has signed a consent order with the Massachusetts Secretary of State agreeing to pay $30 million after its analysts leaked information on Apple's iPhone supply chain to a number of big clients, including SAC Capital Advisors. Late last year, Citi's method of covering Apple revolved around a "unique team approach," with semiconductor analyst Glen Yeung, software analyst Walter Pritchard, and hardware analyst Jim Suva sharing the duties. That team initially upgraded AAPL to a buy recommendation in late November, but by December 17 the firm had cut its rating to neutral. In a note to its clients, Citi explained the rating and target price cuts as stemming from "near-term supply chain orders" that cast doubt on iPhone 5 demand. As many analyst firms do, Citi was estimating iPhone shipments based on production reports from suppliers, longtime Apple supplier Hon Hai in this case. A consent order (PDF) released Thursday by Massachusetts Secretary of State William Galvin now reveals that Yeung had received word on those production quotes nearly a week earlier and that another Taiwan-based Citi analyst had been slipping that information to select funds ahead of Citi's reports. Among the clients said to have received advance knowledge was SAC Capital, the hedge fund run by billionaire Steve Cohen. Both Cohen and SAC are under investigation over insider trading allegations, and the Citi revelation stemmed from that process. SAC joined T. Rowe Price in selling off Apple stock ahead of the release of Citi's actual report, according to Reuters. The consent order quotes a number of emails between Citi analyst Kevin Chang and personnel from SAC. Secretary Galvin said those emails "reveal this cozy culture which illustrates again that there are two types of customers; big ones and retail customers who often don't receive this information." Galvin levied a $30 million fine on Citi, one of the biggest state securities regulators have ever handed down. The size of the fine stemmed in part from Citi's embarrassing role in the difficulties surrounding Facebook's initial public offering last year. Citi's supervisory culture, Galvin said, has not yet learned its lesson from that event. The $30 million fine is the result of a settlement, and there have been no charges filed in the case. Apple chief Tim Cook has previously warned investors about the perils of relying on supply chain reports to divine the company's quarterly fortunes, noting that "the supply chain is very complex, and we obviously have multiple sources for things." 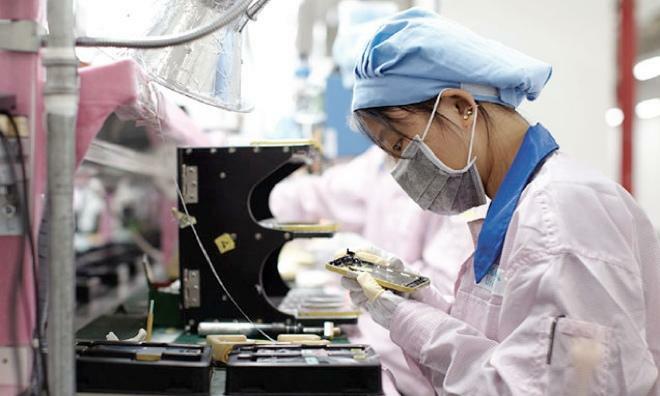 Current speculation has Apple diversifying its supply chain even further in 2014, moving from a partnership model  the type it currently has with Hon Hai  to a transaction model for some devices.